As a finalist in a competitive selection process, PWWG developed a master plan for the east edge of campus, conceptual designs for three new buildings, and complementary site design for a new quadrangle called the Downtown Loop. 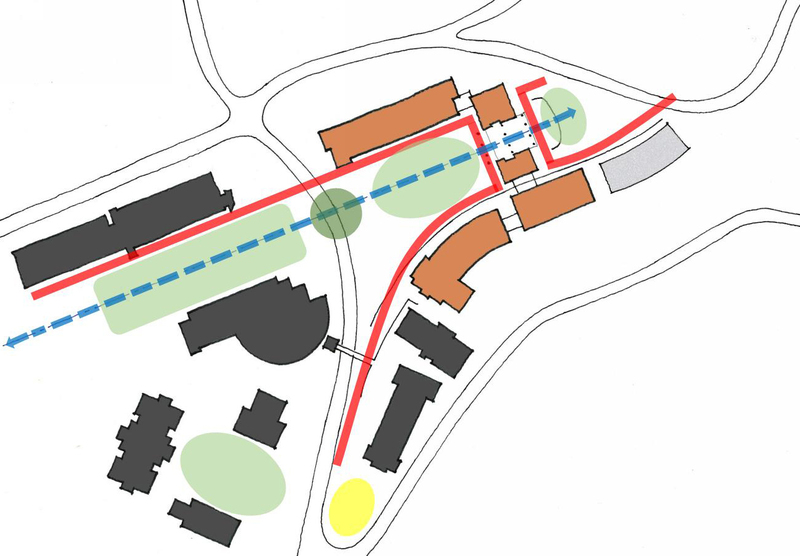 The proposed design extends the quadrangle formed by the Life Sciences Building and the Business and Economics Building, lifting a vehicular passageway that previously formed the edge of campus, and allowing connections between the new and old campus. The plan also reaches out to connect to Woodburn Circle at the historic heart of the downtown campus. The new Business & Economics Building gently bends back to follow the shape of the hill below College Avenue and engages Ming Hsieh Hall and Oglebay Hall in an ensemble of elevated buildings overlooking University Avenue and the new “Loop” quadrangle. The Research Building extends the linearity of the Life Sciences Building and defines a new gateway to the downtown campus, while the International Building occupies the “head” position of the new quadrangle. The parking and loading functions have been split to either side at the rear of the site to allow the quadrangle to visually extend right through the International building to a terraced outdoor gathering space. Each of the three new buildings features a prominent transparent entrance piece that terminates a vista as one enters and moves through the campus. Johnson, Mirmiran & Thompson, Inc. / Potesta & Associates, Inc.